You are here: Home / creativity / Benefits of Meditation – Can It Make You a Smarter Person? 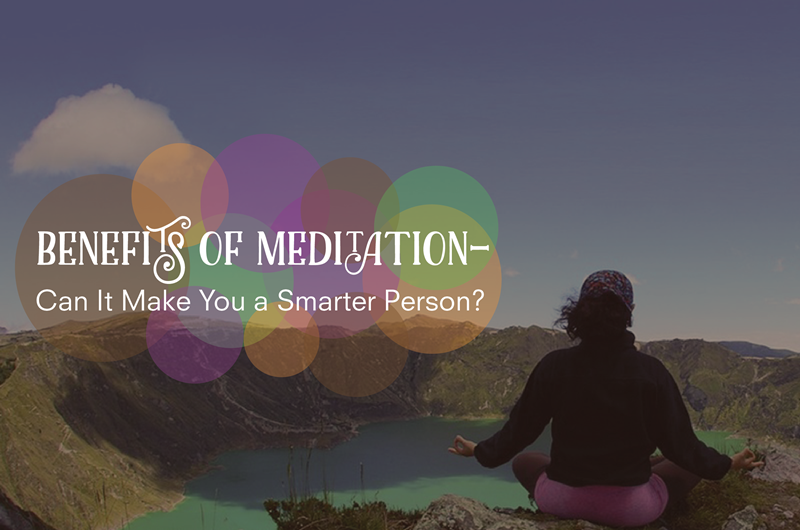 Benefits of Meditation – Can It Make You a Smarter Person? There are numerous benefits to be had from meditation. People practice it to relieve themselves of stress, which directly affects their well-being. Stress is a huge obstacle for productivity; it prompts people to dwell on the negative and it can actually make them sick. Constant stress is known to co-opt many of the body’s resources and dampen immunity. Meditation outworks stress by redirecting focus and slowing down the body. With this slowdown, tension knots come undone and blood circulates better and gets to deliver essential nutrients to their rightful destinations. But aside from being an effective stress-buster, do you know that meditation can also boost your intelligence? Meditation relieves your stress. When you’re free from stress, you’re able to invoke other parts of your brain. According to Dr. Sonali Sharma, a clinical instructor in psychiatry at Columbia University in New York, when worry or stress is controlled, people find themselves active and creative. A creative person processes ideas more effectively and comes up with a variety of ways to solve problems. A study conducted by researchers from the University of Wisconsin discovered that meditation increases the “gray matter thickness” of some brain regions. This basically means it makes your brain bigger, faster, and most importantly, smarter. Meditation has the ability to guide brainwaves into greatly beneficial frequencies. People who meditate manifest better cognitive functioning, increased creativity and powerful idea generation. There’s no questioning these benefits of meditation, considering how the most successful people in the world attribute their exceptional abilities to the regular practice of meditation. It has the ability to develop that “killer instinct.” Killer instinct is what distinguishes people with abilities from successful people. Instinctive people are in touch with their inner voice that instructs them to execute a massive action at the right time. People who don’t meditate tend to listen to other voices too much that what their gut tells them (which is often right) gets shushed. It can boost memory. Everybody knows that increasing intelligence has much to do with one’s ability to retain information and bring it out as needed. Scientific studies show that the hippocampus and frontal brain lobe — key areas of the brain for memory — show significantly increased activity during meditation. When these two areas are stimulated during meditation, you’ll see a big difference in the amount of data you’re able to store in your brain and remember clearly. So, if you want to improve your mental performance, meditate daily and begin observing all the aforementioned benefits happening to you. Meditation opens up an entire new vista of mental abilities directly associated with changes and new physical growth in our brains. A regular meditation practice can make practitioners smarter, less stressed and can boost their immune systems and attention spans.